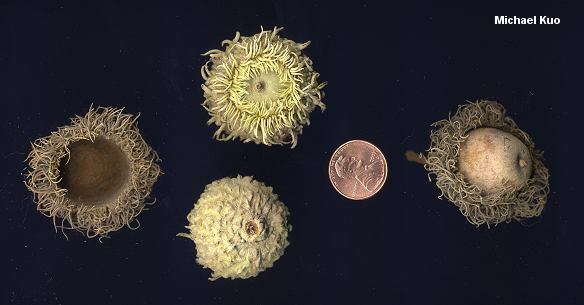 Acorns large, encased in prominently hairy cups; leaves lobed, without bristle tips, with two very deep center indentations; growing primarily in Midwestern North America. Habitat: Able to grow in dry or moist soil; east of the Great Plains. 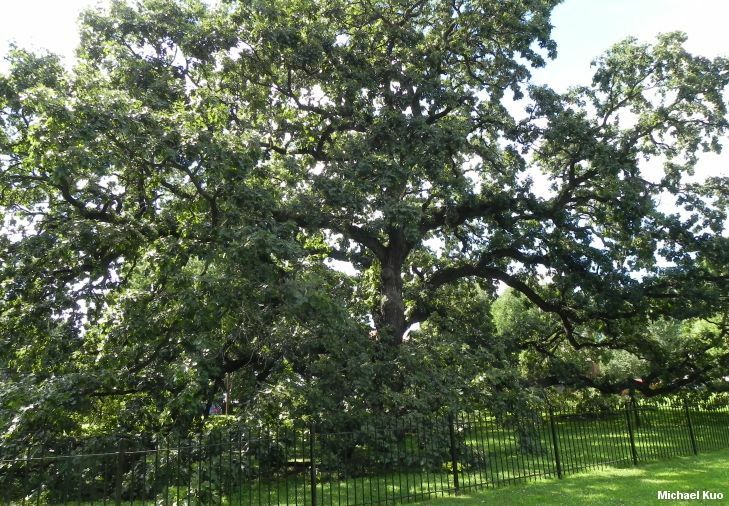 Stature: 60-80 feet high (or larger); to 3 feet in diameter; branches large and heavy; with an open, rounded crown. 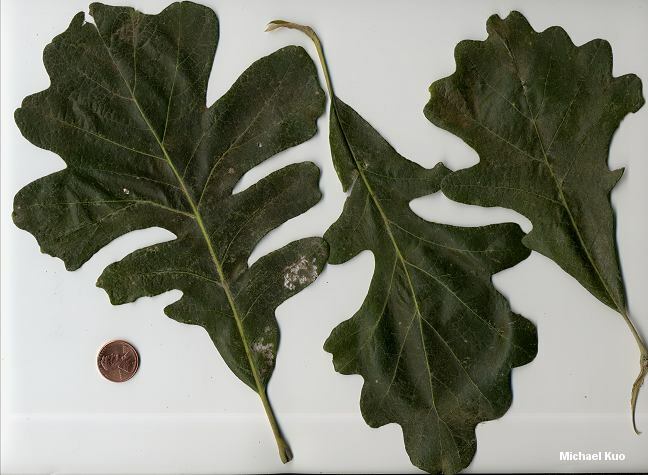 Leaves: 6-10 inches long; with 5-9 rounded lobes; typically with two central indentations that extend nearly to the midrib; dark green and shiny above; pale green and slightly hairy below. 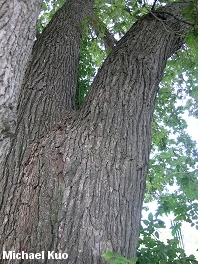 Bark: Gray to brown; thick; furrowed and ridged in age. Acorns: Sweet; to 2 inches long; enclosed 1/2 or more in a characteristically shaggy and hairy cup.